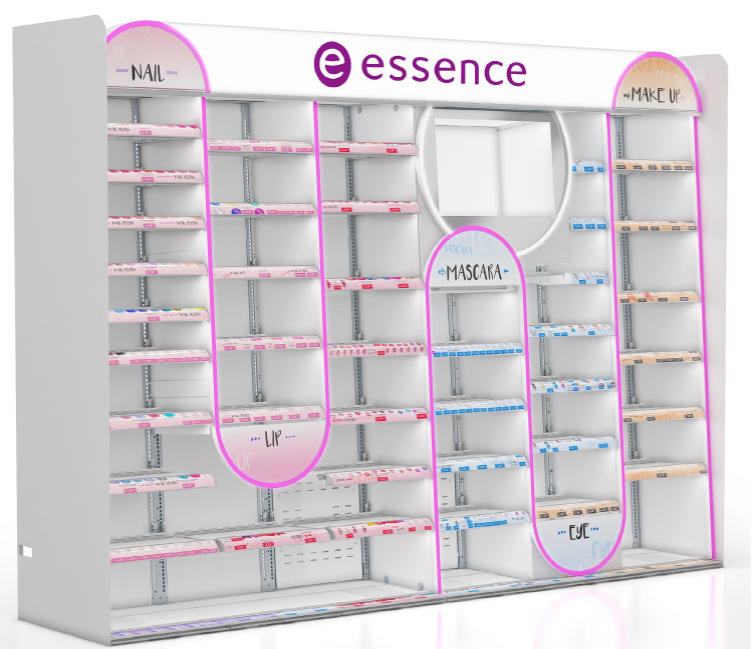 Citylux provides customized neon lights for Essence, combining lighting design with product display to attract customers' attention and providing customers with a comfortable shopping experience at the same time. Brand audit and consumer analysis. Conceptual design documentation, including engineering drawings and graphics. After design concept approved, prototype constructed. Engineering drawings corrected and raw material procurement and production undertaken. Goods delivery and offer after-sale service.